that everyone loves to use. iSpring was started in the early 2000s. 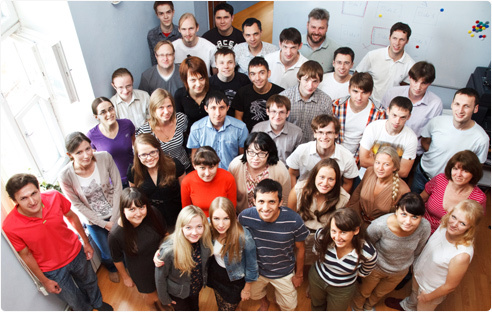 We were a small team of young and ambitious programmers with an insatiable desire to raise the bar in software development. Later, we developed a whole family of products mostly focused on eLearning. Users still enjoy our software, and our commitment to excellence continues to be our greatest inspiration, just as it was in our first days. Going far beyond simple converters, our product line today includes powerful tools for creating professional eLearning courses, and learning platforms for entire organizations. iSpring Suite is a complete package of components for creating multi-platform interactive eLearning courses right in PowerPoint. iSpring Learn is a full-featured solution for fast and easy corporate eLearning. More than 160,000 people study with iSpring Learn LMS. iSpring PowerPoint-to-Flash and -HTML5 technologies have been integrated in 200+ projects for web conferencing, sales communications, and eLearning. One of the most important values at iSpring is quality in everything we touch. the best solution in its market. iSpring customers get personalized support for free. Highly skilled iSpring support professionals are specially trained to help you. More than 80% of cases are promptly resolved in less than two hours or immediately right over the phone. The iSpring Community offers you many ways to stay connected to the eLearning industry with interviews, tips and tricks, and helpful insights; plus, keep up-to-date on iSpring products and events. We interview leading experts in a casual format. You can participate or watch an archived Hangout anytime. Our blog has interesting posts that help you start creating awesome courses and launch your eLearning fast and easy. Be the first to learn about iSpring company events, promotions, and the life of our team. Join us on social networks. iSpring dedicates its best resources to developing world-class software skills for children, youth, and mature professionals. Teaching the basics of information technology and logical thinking. Preparing high-schoolers for a career in computer programming. Educating professionals to develop better software. We're always happy to chat with you about how our software can help you meet your business goals. Contact us anytime!